Clays are much loved by children, mold them, press them or simply roll it! Let the child form letters that makes a word to have a sentence/s that what her heart speaks. “I Love You Mommy” letter clays will surely make her day perfect. After forming the letters, place them in a cardboard then cover it tight with cellophane so it won’t fall. If you can make more forms like flowers, butterflies and heart shapes then go make it jam-packed for a special woman who gives it all to her family. Flowers are just great for her, for someone sweet, colorful outlook and with so much fragrance naturally. Pick a color that she loves the most. You will be needing a square paper depending on what size of the flower you will be making, a 4”x4” square paper would be most appropriate. Now, draw a spiral on the sheet and have it cut next. Then start rolling from the outside until it’s all rolled up. 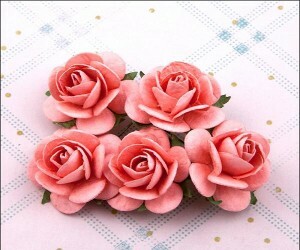 Make as many paper roses as you want to form a bouquet and put some stick of course for the stem. Enjoy rolling and rolling! Huge Mother’s Day card photo memories. I bet we all have so much fun and memories with our moms.Use that memories to make great mothers day card to show the love and affection. Printed pictures are what we are dealing with this time. Select photos that best captures your loving memories together, with all the hugs and kisses that you shares both. Very simple also, buy a big cardboard and make sure to cover it with special wrappers that suits her personality or has her favorite color. Fold it in half, then place all the pictures using glue and put some captions below it, word of appreciation that an adult can translate. Or else, let the child write and use his/her own words to say something about the photographs. Write some mothers day messages on the card. Add some more colors if you must, use Crayola, color pencil, color pen and alike to create hearts and flowers. A huge hug will add more loving after it was personally delivered. There is certainly a celebration at home or somewhere else during this occasion. Wherever it maybe, a tasteful surprise for mommy is just yet to come at eating time. A table mat for her special day, full of hearts and love from the one who made it. Here’s how, Choose a dark colored long paper and start the masterpiece by drawing the entire family holding hands with smiley faces obviously. Then, put some nice colors to it; use colored markers to make it brighter. After which, you can write around the outside edges how much you adore your mother. Since a mother is the queen of our homes, surprise her with a well-crafted crown on mother’s day. Follow these simple steps: First, outline a crown in a folder by using a pencil so it would be easy to erase and cut it out. Color it then with gel markers and have it decorated with sequence, jewels or silver dust to make it glitter. Have some words to remember also, write it on the opposite side of the decorated crown shape folder. Make it merry to share some laughter and smiles after the queen receives her present. Even up to this generation, wherein most people rely on computers and new technologies. Some of us, even mothers prefer to read from books. For cooking purposes for instance, it would be a big help to have a bookmark. 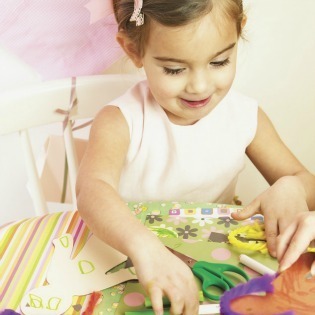 Do these steps:  form and cut a construction paper in a rectangular shape. Create a design that you shows your gratitude to you mom. Get a hole punch and create a hole at one end of the rectangle. Colored ribbons folds in half and thread both ends through the whole. Lastly, looped the end and pull it firmly. Banners are one of the simplest artwork since you will only need a large colored or white paper, Paints to add some colors and markers too. Have your fingers painted and mark it on the cardboard, same as your other siblings if you have any, put them all together and let you mom identify later which one owns one of those. Then, it’s time to get into writing. Express it through song lyrics, poems or have it your own way. Whichever you prefer, better make it good!